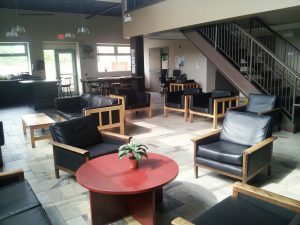 Located at 540 Montreal Street, at the corner of Joseph St., In From the Cold Emergency Shelter (IFTC) joins Home Base Housing’s Administrative and Program offices as well as the Housing Help Centre. The In From the Cold Emergency Shelter can house up to 29 people which makes it the largest shelter in the City of Kingston. Those in need can ask about bed availability directly through the shelter by calling 613-531-3779 x 121. There is an evening meal provided as well as a breakfast in the morning. In From the Cold Emergency Shelter operates 24 hours per day, seven days a week. The shelter doubles as a drop-in centre from 8:30 a.m. to 5 p.m. for individuals who are homeless. The IFTC continues to benefit from generous financial and in-kind support from government agencies, the United Way, concerned citizens, community organizations, local businesses and faith groups. Established in the winter of 2000, In From The Cold Emergency Shelter was opened as a temporary winter overflow shelter to assist other shelters. Due to demand for shelter beds, In From The Cold has operated on a year-round basis since July 2004. The shelter works closely with Elizabeth Fry Shelter for Women and Kingston Youth Shelter. If you would like to make a donation to assist the In From The Cold Emergency Shelter, please visit our CANADA HELPS link on the Home page!